I wish I could have liked this more than I did because the middle of it was astonishingly good. By this, I mean that it started out with a little bit too much of an It or a “The Body” vibe--too Stephen King-ish. And yeah, that’s a bit unfair because most of us grew up in a little gang that resembled the kids in It. A lot of authors (me included) have been accused of imitating Uncle Steve from time to time because he’s written about damn near every imaginable assembly of people, but some scenes in this book were just too similar. I remember getting an Amazon review that called my first novel “a superb story in the genre of Stephen King.” I was ecstatic, but note they didn’t say “rip-off.” Therein lies the difference. 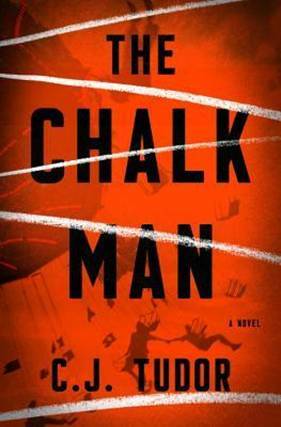 I got past that with The Chalk Man and the book turned into a compelling read. Most of the characters deepened rather than staying one-dimensional, the dynamics changed, and they came into and left each others’ lives in a truly enjoyable, realistic fashion. That lasted up until around the last quarter of the book when everything went to hell. Too many characters brought back too quickly, too many plot twists, too much story line dependent on something as odd as hair dye. It’s happening more and more and I’m not a fan of it--the whole, “Whew...I’ve got 200 pages...time to wrap this up” thing. The unintended lapses in tense also bothered me. Granted, the book’s chapters do this purposely, but in the course of 3 paragraphs, the narrator goes from present tense to past tense and back again as if we’re not going to notice. And it’s so noticeable and out of place that it pulls you right out of the story. A good editor would have caught this and a good editor is exactly what The Chalk Man needed and didn’t get. A few other incongruities slap you out of the novel’s world, too. Those moments when you say to yourself, “Wait a minute... how’d she give you a flashlight when you just jumped out of the window?” or “Hang on...you left that guy in the entrance hall--how could he be walking through the forest with you?” Again, a good editor would have spotted this. Is it ultimately the author’s fault? Yeah, I suppose so, but I like to think this author would have done better without the “assistance” from the galley of editors she thanks in the acknowledgments. Too many cooks didn’t do this broth any good at all. Still...I’m glad I read it because it definitely had its moments. I would have liked to see another 50 pages that would have allowed a more drawn-out and detailed “wrap-up” but here again, publishers are looking for 288 pages from a new author--not 350 and not 220. Sometimes, you have to take what you can get.